A summer music workshop aimed at helping young people to develop and improve their musical skills is on again this year. It offers participants knowledge on the rudiments of music, song writing and focuses on drums for bands, keyboards, guitar and bass guitar. The sixth annual summer functional music programme is organized annually by Ian Jackson and will take place at the Calypso House in Bath Estate from Monday 16 July 2018. 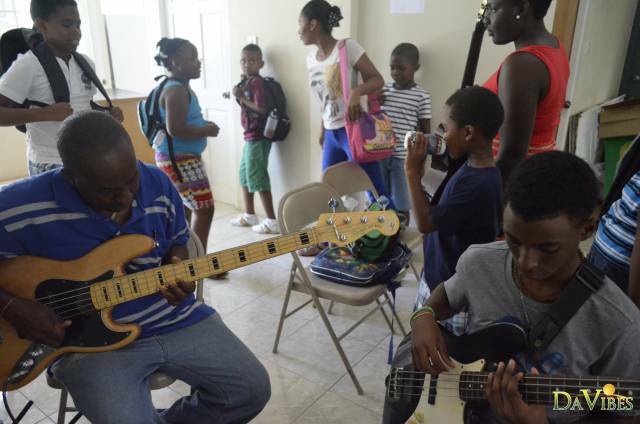 “It is geared towards young persons, who probably have the propensity to play a musical instrument, and they probably never got the opportunity, or even those who have started playing maybe have their keyboards or guitar at their home and they want to improve on their playing,” Mr. Jackson told Dominica Vibes. The summer functional music programme will continue for two weeks from 9:30 to 12 noon every day except Sundays and costs one hundred dollars per student with an instrument. “We get an influx of young people from the age range from around 9 to 19 to those workshops,” Mr. Jackson noted. Interested persons are invited to call 276 6766 or 295 2633 to register their intent to participate in the program. The registration fee is one hundred dollars ($100.00) if you have your musical instrument but one hundred and twenty-five ($125.00) if the instrument has to be provided to the participant for the duration of the course. “We’re encouraging all young people, and parents who probably have young people at home who would like to engage and get some firsthand basic knowledge of a musical instrument of their choice, to come in and register for that particular program,” Mr. Jackson added.